Republicans want you to believe that even Democrats are jumping ship in their support for President Obama and the Affordable Care Act. Unfortunately, the truth is getting in the way of this convenient (for them) meme. There was solid proof it overnight in Ann Arbor. 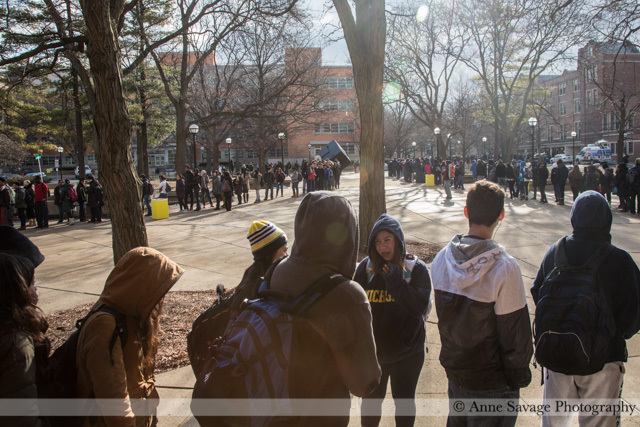 The last time President Obama came to Ann Arbor in January 2012, demand for tickets was huge with students lining up for them overnight. 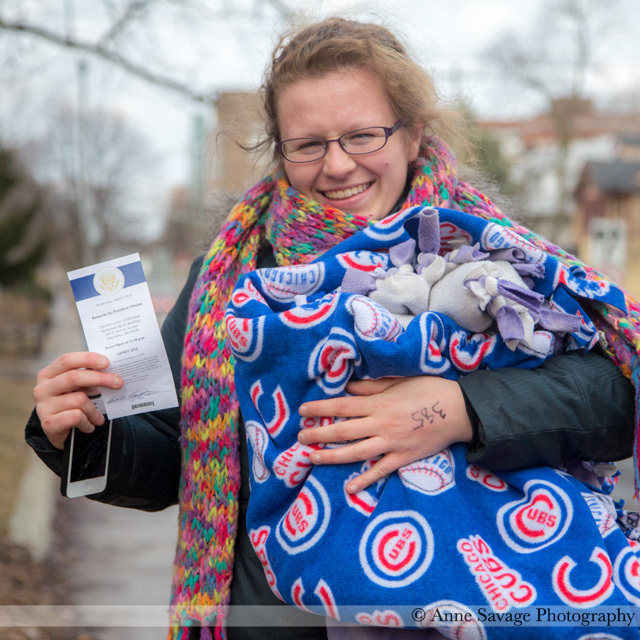 Last night, students began filling the Union at about 7:30 p.m. in hopes of being among the first in line to receive a ticket. 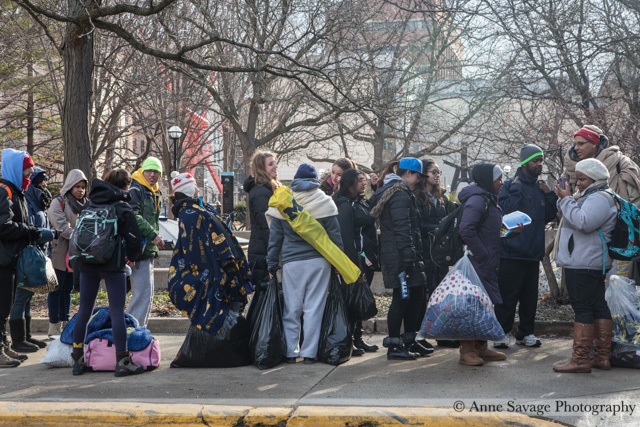 At 1 a.m., students were asked to leave the building before it officially closed to the public at 2 a.m. 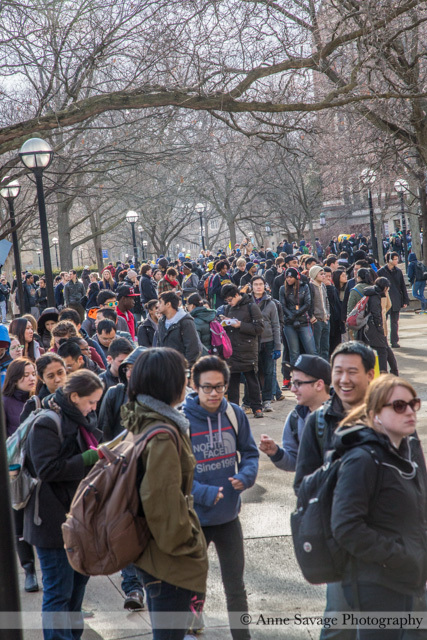 The crowd of people — which was estimated to be at 1,000 at the time — relocated to Regents Plaza and extended around the Cube and toward the Fleming Administration Building. 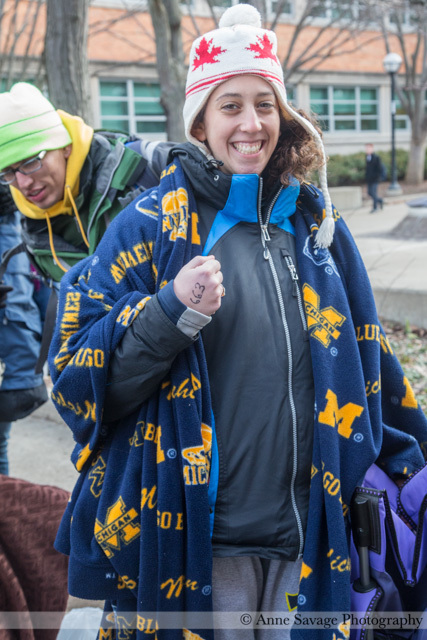 By 7 a.m. Tuesday, two hours before the University of Michigan began distributing a limited and undisclosed number of tickets, around 900 students had lined up for a chance to hear President Obama speak. 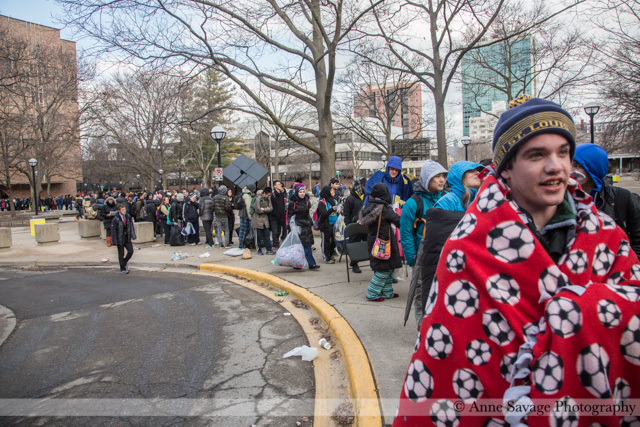 In fact, students began lining up last night well before midnight. Here are some shots Anne took this morning just after the doors opened to distribute tickets. It’s not just the President who is popular. 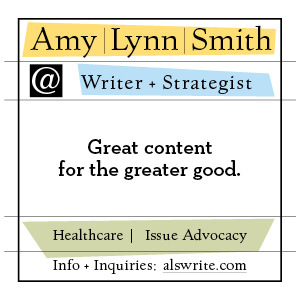 His signature law, the Affordable Care Act, is gaining in popularity, as well. As Charles Gaba has been tracking at his now wildly popular ACASignUps.net, over 7 million people have signed up for health insurance under the ACA and at least 9.5 million previously uninsured people have gained coverage with the expansion of Medicaid. This has led to a surge in popularity. A recent poll shows that those who approve of the ACA outnumber those who do not. Democrats, the group Republicans would have you believe are distancing themselves from the ACA and the President, give the ACA overwhelming support. 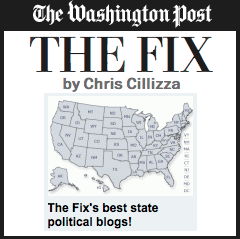 78 percent of them give it a thumbs up according to Gallup. And let’s not forget, the Republicans have NOTHING to offer that will have the support the ACA has.